and 20 years in the Executive Committee of FIAMC . It was under the impetus of Pope Leo XIII (1878-1903) – author of the encyclical Rerum Novarum – that the two first Catholic Medical Associations were founded in 1884, in France (Dr Le Bèle) and in Catalonia (Dr Anguera). They were soon followed by many others. The Holy Father Pius X (1903-1914) received in an audience, on the 9th April 1904, more than 300 physicians from Belgium, Spain, France, Holland, Italy, Lorraine, Luxembourg, Switzerland, and Canada, on the occasion of the first international pilgrimage of Catholic doctors to Rome from the 5 to the 15th April 1904. Pope Pius XI (1922-1939), an experienced mountaineer who opened climbing routes in the Alps, wrote at least four encyclicals which remain widely recognised: Casti Connubii (1930, on Christian marriage), Quadragesimo Anno (1931 social encyclical following Rerum Novarum), Mit brennender Sorge (1937 encyclical condemning Nazism, and written with the collaboration of Cardinal Eugenio Pacelli, the second Secretary of State, and the Archbishop of Munich Michael von Faulhaber), and finally Divini Redemptoris (1937 condemning communism). His first secretary of state, Cardinal Pietro Gasparri (who negotiated the Lateran Treaty of 1929) supported the creation in 1924 of the International Secretariat of Catholic Doctors in Paris, by Dr. Octave Pasteau, and sent him a message (so did Msgr Pacelli ) on the occasion of the fiftieth anniversary of the St. Luke Society in Paris in 1934, which was the occasion of one of the first European encounters. The Pope sent messages to the Congresses in Brussels in 1935 and Vienna in 1936, but the third congress, scheduled in Rome at Easter 1937 at his initiative, was canceled due to his illness (he died in February 1939). Pope Pius XII (1939-1958) had only one Secretary of State, Cardinal Luigi Maglione, who died in August 1944. His first encyclical Summi Pontificatus in October 1939 was understood by the Nazi authorities as “a direct attack against the Third Reich”. From 1944 to his death he said more than 80 speeches, lectures, or messages for health professionals. He received in audience the Catholic doctors at the International Congress in Rome in September 1949, addressed a message via Msgr Montini (substitute, future Paul VI) to Lisbon Congress in 1947 and Dublin in 1954, and via Archbishop Roncalli (Apostolic Nuncio and future John XXIII) present at the Congress of Paris in 1951. He broadcast a long message in French to the International Congress of The Hague on 11 September 1956 and a TV address to the Brussels Congress in late July 1958 (two months before his death). He was a precursor on end of life issues, through his speeches of 24 February 1957 on the moral problems of analgesia (1) and 24 November 1957 on the moral problems of intensive care (2). His positions have been taken up again, not only in the subsequent ecclesiastical texts, but also in the world medical literature, in the Guidelines of Intensive care Societies, and have still recently influenced legislative texts on the end of life. The Holy Father John XXIII (1958-1963) left the image of a deeply human Pope beyond his encyclicals, including Mater et Magistra (commemorating Rerum Novarum) and Pacem in Terris (facing the Cold War), and the convocation of Vatican II Council. He sent a message of sympathy to the Munich Congress in late July 1960 and to London in July 1962. 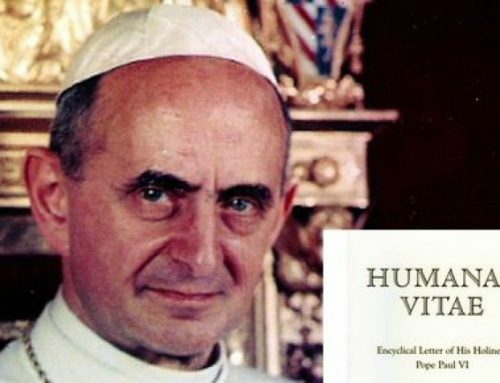 Pope Paul VI (1963-1978) assured the continuation and the influence of the Council. 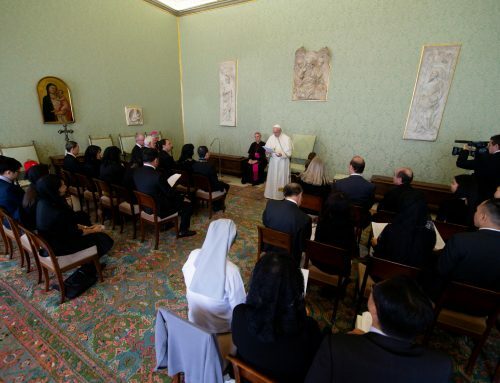 He was very close to the lay organizations, and it is he who created in 1967 the “Pontifical Council of the Laity” (which in 1976 became “Pontifical Council for the Laity”). 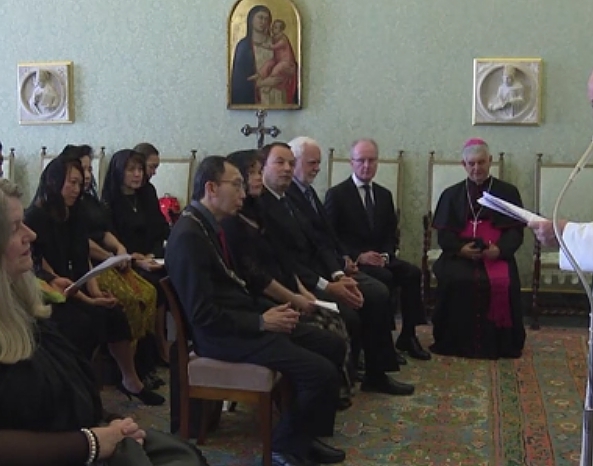 He was represented by Bishop Silvio Luoni at the Congress of FIAMC in Manila in November 1966, and sent through Cardinal Villot, Secretary of State, a message of support to the Congress in Washington in 1970, and the Congress in Barcelona in 1974. He was represented by Bishop Giuseppe Caprio at the International Congress in Bombay in 1978. 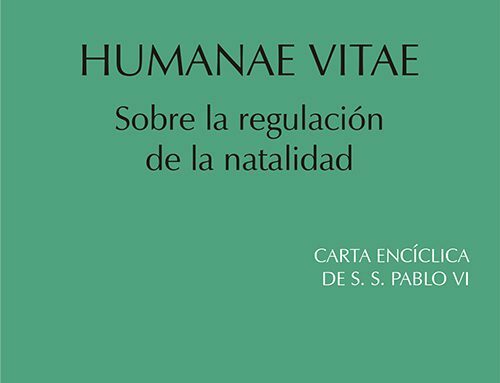 The encyclical “Humanae Vitae”, published 25th July 1968, triggered many reactions, and was his last encyclical, 10 years before the end of his pontificate. The pontificate of Pope John-Paul 1 (1978) only lasted 33 days, but his simplicity and smile immediately made people love hin . It is difficult to talk briefly about the Holy Father John Paul II (1978-2005), because of the vastness of his work. 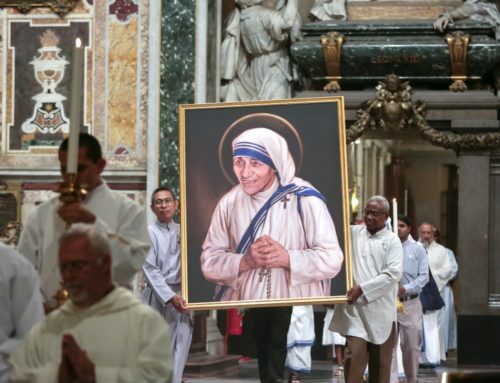 He cared about those who suffer, and “Life” was his message: the creation of the World Youth Day (1984), of the Pontifical Council for Health Pastoral Care (1985), of the World Day of the Sick (1992), of the Pontifical Academy for Life (1994), the encyclical “Evangelium Vitae” (1995), and his struggle against his illness, marked its route, as well as Assisi (1986), and the liberating impact of his taken social positions. He gave audiences to the Congresses of the Catholic Doctors in Rome in October 1982, July 2000 (when he gave – after Pius XII – a Prayer of the Catholic Doctor), and March 2004 (Congress on Life-sustaining treatments and vegetative state). 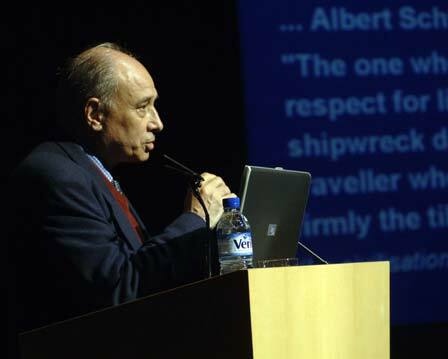 FIAMC dedicated a CD (in English and Italian) to his texts on Health. His sense of human contact was exceptional. I had the chance to be presented to him at the Congress in July 2000, when his strength had begun to decline. At his death, two non-Christian countries, Egypt and India, declared a three days national mourning, others a shorter national mourning. Pope Benedict XVI (2005-2013) is still with us. 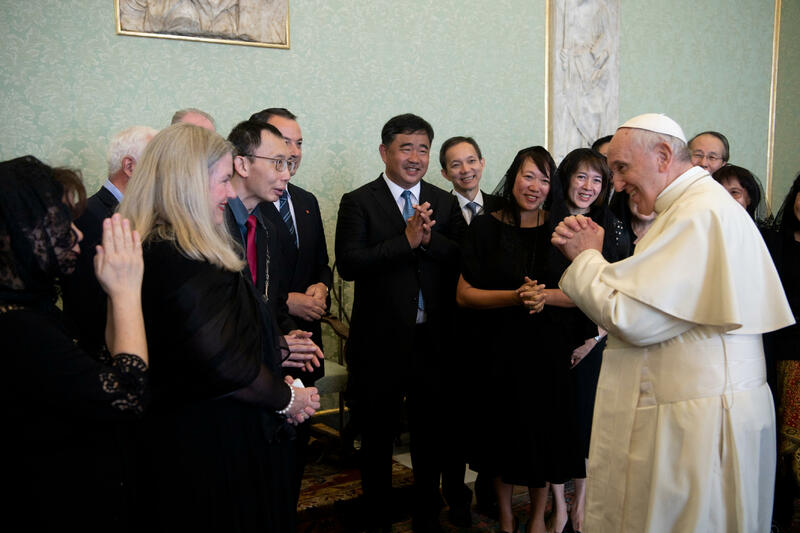 He granted audiences to the participants in the Congresses organized in Rome by FIAMC and the Pontifical Academy for Life, on Stem Cells in September 2006, and on Organ Donation in November 2008. 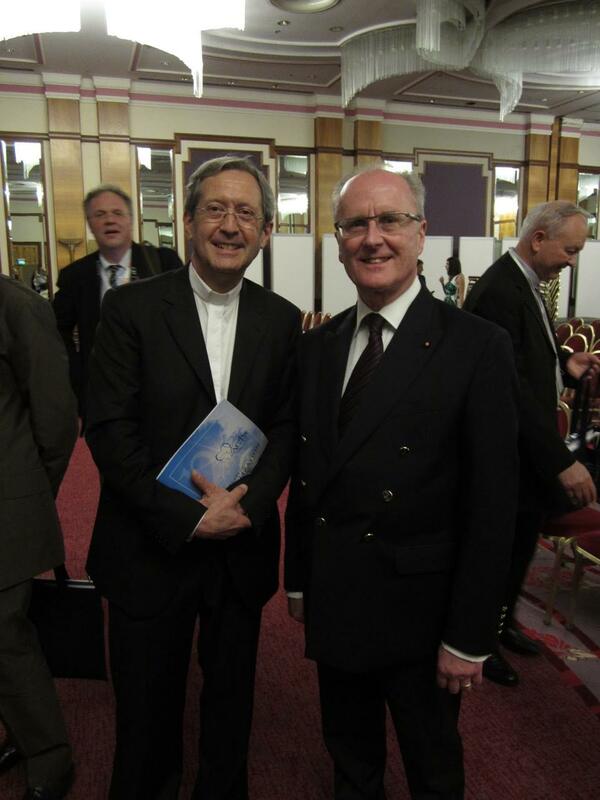 It was for me a great privilege to be presented to him during an audience granted to the Congress of FEAMC in Rome on the 17 November 2012, and I cherish fond memories of it. Finally, it was Altötting – a Marian shrine in Bavaria near Marktl, his native village – during the celebration of the World Day of the Sick on 11th February 2013, that we learned – not without emotion – of his courageous renunciation of his office. His Holiness Pope Francis granted already several interviews to Jose Maria Simon. 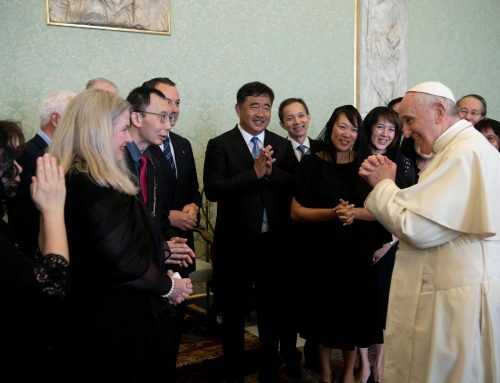 I had the privilege – with members of the Executive Committee – to have dinner near his table on the 1st November 2013 in Domus Santae Marthae, and to meet Him, quite informally in the morning during the Working group meeting on Human Trafficking which was held at the Pontifical Academy of Sciences. His pastoral sense already deserved him to be universally recognized as the Person of the Year 2013. (2) Address of Pope Pius XII on the moral problems of intensive care, on 24th November 1957: “… The duty to take care to preserve life and health… usually only requires the use of ordinary means… that is to say, means that do not impose any special burden for oneself or for another … “The doctor may stop an attempt which appears as an burden which cannot be imposed on the patient or his family because “there is in this case no direct disposal of the patient’s life or euthanasia which would never be licit… The interruption of resuscitation attempts is only ever the indirect cause of the cessation of life, and in this case should be applied the principle of double effect…”. In this speech, as well as in previous speeches, he recalled that “the doctor can only act if the patient authorizes him…”.